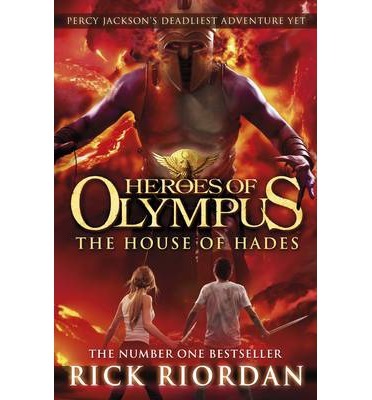 Percy and Annabeth are trapped in Tartarus, their only hope is to journey across the land of the dead to the Doors of Death. This will perhaps be the most testing and brutal of all trails they have gone through. To make matters worse monsters are regenerating at an increased rate and none of them like the demigods, in fact Percy and Annabeth are the reason quite a few are in Tartarus in the first place. Still they have each other and that will get them through much and then there is Bob, a surprise addition to their team, and one that could just tip the balance. On the surface Jason, Hazel and the others are trying to get to the House of Hades so they can be at the doors to help Percy and Annabeth. This is not turning out to be as simple as flying there. Gods and monsters are doing everything they can to stop them. Hazel discovers that Hecate has a plan for her, Frank fights his fears of his parentage and comes into his own and Nico faces up to his deepest secret. 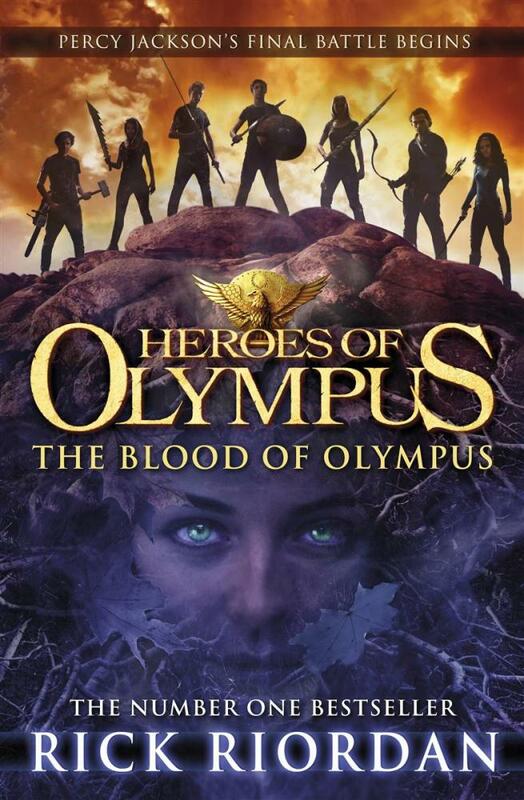 Will all that be enough, with the God’s being split between their Greek and Roman selves, and the Roman demigods determined to attack Camp Half-Blood? Gaia must be stopped but is that even possible with the team split up this way? 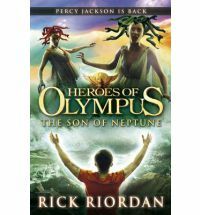 An awesome action filled instalment of the Heroes of Olympus series. Percy and Jason are still obviously leaders but it is not all about them. 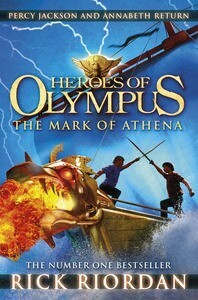 Percy and Annabeth have a real partnership and together they are much stronger than could be expected. So much of this adventure hinges on Hazel learning new skills and how to have faith in herself and Frank stepping up to be the son of Mars that he is. Frank’s story arc in this is one that builds slowly but reaches an awesome crescendo and it is going to be interesting to see where he goes in the next book. Nico’s torment is something we finally have some light shed on and it is so sad in some ways, you just want Nico to be able to move through it, it too is something that we are left wondering about. Leo too gets the chance to have some growth in a rather unexpected way (but I’m not giving any spoilers). The pace never wavers and as such this book like those before it is hard to put down. The world Riordan creates is varied, full of the familiar and unfamiliar, and it blends together seamlessly. It seems totally fine that one minute the heroes are using magical and advanced technology and the next it’s all swords and flying horses. These books are addictive, the blend of action and mythology often leaves me wanting more. Okay so I am looking forward to this, but then I always do. 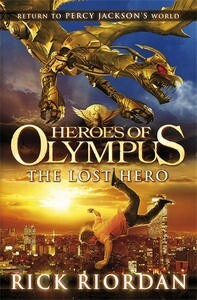 I love the Percy Jackson books and that goes for this series as well. Also if you are like me and impatient then maybe you will want to read the first chapter. I did and was again reminded of why this is a bad idea because now I really want to read the book but that won’t make it get here any faster. Teaser chapters are evil, but the link is here. Which cover do you think is best? And do you like torturing yourself with first chapters?